As moms our lives are so busy with everything we have going on from housework to dinner to kids activities and who knows what else. 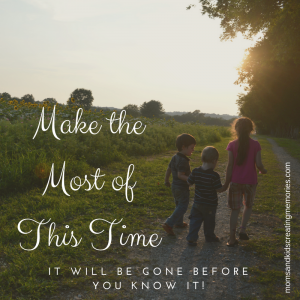 If you are like me you are always looking for something that will help with making things easier, saving time, getting organized or just some encouragement. I would love to share with your 6 things that I have found that has helped me or been an encouragement to me. 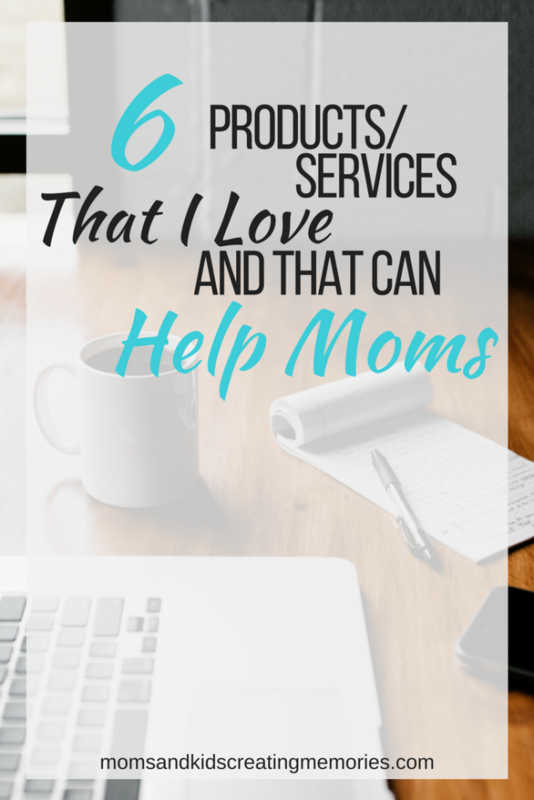 Maybe you need some of these items or maybe you know a mom that could use one or more of these items and they would make a great gift idea for new moms or moms for mother’s day or birthdays. 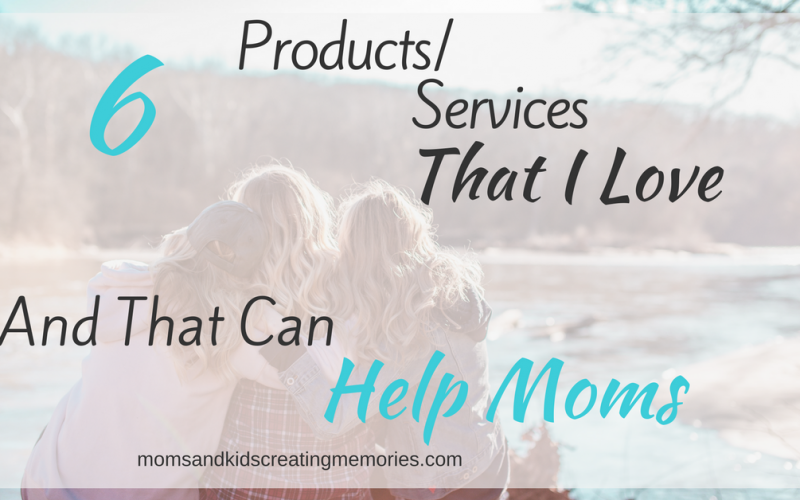 Take a look at these products or services and I am sure you will love them as much as I do. Free Two Day Shipping – We are constantly ordering items on Amazon and having it shipped two day. Forget someone’s birthday or need a last minute gift – no problem Amazon probably has something great and you can get it in two days. So no need to take all of your kids into a store to look for something and end up stressed out or not getting what you need because one of your kids had a melt down or needed to go to the bathroom half way through your trip. Check Amazon, order something special, have it delivered right to your house and you are done. Prime Videos – There are tons of videos and shows that you can watch for free with prime. 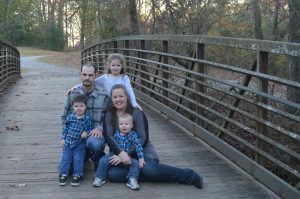 Prime Photos – I have all of my photos back up with Prime Photos and I love having a place that all of my photos can be backed up on and I don’t have to worry about them. I also get reminders on my phone of pictures I have taken on the same day in past years, which is so fun to look back on and remember. One thing I haven’t really looked into but plan to is Amazon Prints. Prime Music – There are so many songs and albums that you can get for free because of Amazon Prime. If you really like music though and would like Unlimited you can also sign up for Music Unlimited as a Prime member. Maybe you have Amazon Prime and love it as much as I do, so maybe you could bless someone else. Do you know a new mom that doesn’t have Amazon prime? Maybe you could Give the Gift of Amazon Prime , I know it would be a huge help and blessing. Mother’s Day is coming up or maybe somebody’s birthday is coming and you need a gift for a mom you know, this might be the perfect thing. Click Here to find out more. I have three kids and going to the store is a chore. I don’t know about you but having to go to the store with all of my children is a last resort. When I finally tried Walmart Grocery I couldn’t believe how awesome it was and why I hadn’t tried it earlier. So simple and so much easier than having to bring my kids into the store. It not only saves me on time but it also saves me on money I think because I’m not strolling through the store finding random stuff to buy (especially when I’m hungry). If you haven’t tried this yet, I highly recommend it. 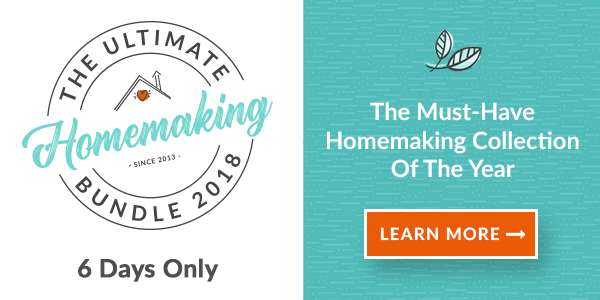 I found a great deal last year called the Ultimate Homemaking Bundle. There were so many great resources in it and for a great deal! I was so excited to see what was in the bundle this year. This bundle only comes out once a year (this year’s was April 11 – April 16) and it has such great value. There are things for mom encouragement, marriage growth, activities for your kids, meal ideas, planners, Bible study items, business related things and so much more. Unfortunately this is only available once a year and the sale is over for this year. Join my email list though and I will let you know when it comes back again next year. As a mom it can be the most rewarding but also the most draining job there is. I have figured out that I need to be encouraged myself which is not always easy to do as a mom. So often we are giving and giving to our kids and family and leave ourselves drained. I heard about a book called Becoming Mom Strong and it sounded like exactly what I needed. As I have read it and gone through the Bible Study that goes along with it, it has been exactly what I needed. It is encouraging and challenging and gets me excited for where God has me. If you need encouragement and a Bible study to do I would recommend this book and Bible study. I have gone through it at my own pace and since we as moms don’t always have a lot of time, don’t get overwhelmed by the size of the chapter or the length of the Bible study. I read a short section every day and when I am done with the couple chapters that corresponds with the section for Bible study then I do that in short sections. So it might take me a week or two to read the chapters and go through a section of the Bible study but I am still getting a ton out of it. Maybe you know some other moms that could use some encouragement and maybe you could get together and do it with them. If you don’t know of anyone and want to do it with someone email me and let me know and I will do it with you. What mom doesn’t feel like she needs to be more organized? I have found two different things that have helped me to get more organized and I hope they can help you two. Crystal Paine over at Money Saving Mom has an ecourse called Make Over Your Mornings. This was such a great course and it helped me so much to get organized and to start looking at things differently. She says your morning starts the night before so you have to get your evening organized (which she also has a course for that) so that your morning can start right. If you want to get a little more control of your life, if you feel like you are always racing around in the morning trying to get everything done I think this course is for you. It is pretty inexpensive and is so helpful. Trello is something I had never heard of before I started this blog but it has been so helpful to me to get organized. It is an app or something you can do on your computer. You can make different lists for different events, you can make checklists, you can copy whole checklists to multiple days. There is so much you can do with this app and you can have everything right on your phone. You can make a board that has your whole week on it so that you can easily see all that you have going on. Head on over and check it out for free. I am still learning it and it has been so helpful and I hope it will be for you too. I know that when I am a more organized mom and have been able to save time I am a happier mom. I hope that you can use some or all of these to help you get more organized, find encouragement and save time. Leave a comment below and let me know if you use any of these and what you like the best. If you don’t use these yet and try them out I would love to know that. I’m not the perfect mom and I will never claim to be. All I hope to do is learn and grow and hopefully encourage a few moms along the way. Check out my post 3 Mom Fails and Fixes where I talk about some things I have been struggling with and what I am doing to try to fix that. Glad you were able to get some help out of it. It really is awesome for grocery shopping – I hope you try it out.